If between sizes, we recommend the smaller size. (See Fit Guide Photo for Sizing) Built to meet CPSC and EN1078 standards. Includes 2 sets of interior padding for a custom fit. 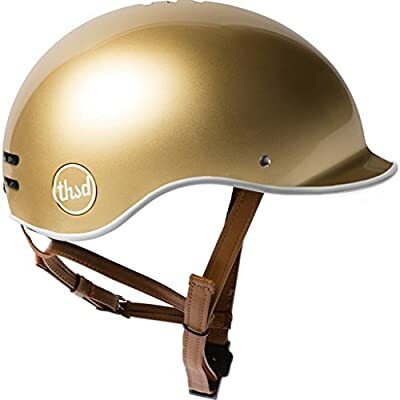 Lightweight helmet at 410g (S), 450g (M) or 490g (L). Secret pop lock lets you lock your helmet with your bicycle with Anti-Theft Guarantee.